In a word: unique. That was definitely the easiest word to go with after playing the preview version of Soundfall, a game by startup studio Drastic Games. Yes, it’s a cheap, easy word to use, but at the same time it isn’t. I chose that word because Soundfall is a LOT of things rolled together, and it does so in a way I find intriguing. It is part rhythm game, part kill-’em-all, part bullet-hell twin-stick (or mouse and keyboard!) 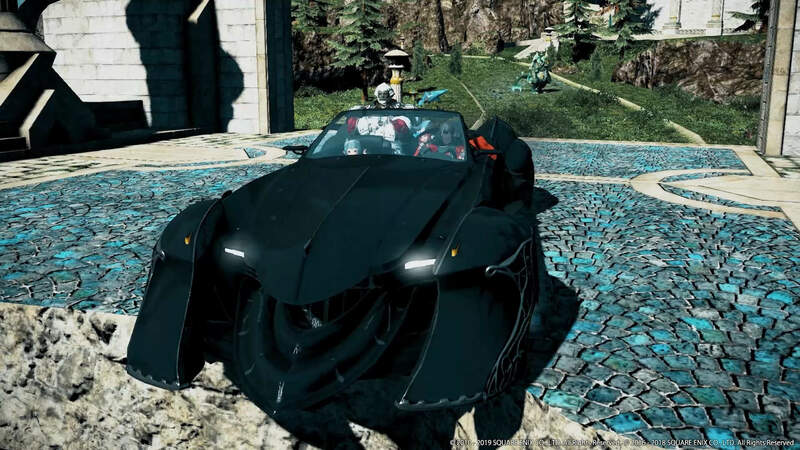 shooter, part action-RPG, and part racing (in a way). I could even add more to this list, as it tries to do a little of everything. So lets gather together some specifics, and why it seems like something to keep an eye on. 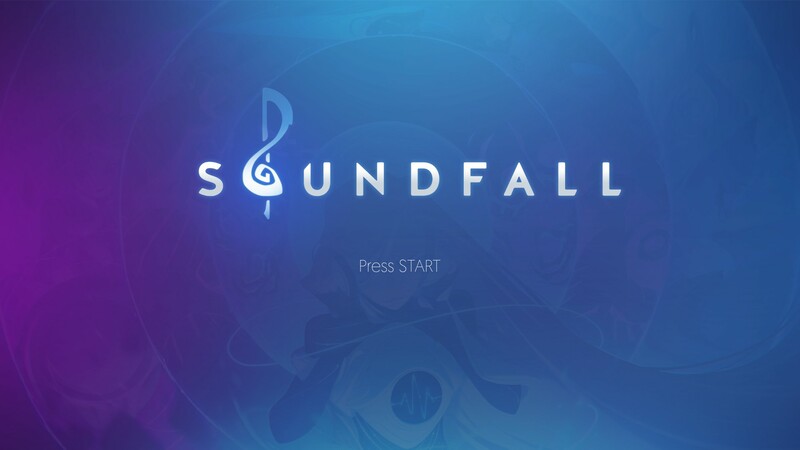 In Soundfall, you take on the role of one of a selection of characters, with a simple aim: Get to the end of the level before you get to the end of the music. To do this, you run from area to area of the level, blasting all the enemies with your weapon, trying to avoid projectiles and area effect attacks all over the screen in order to move on to the next section. Sounds simple right? Well, if you just rapid fire the enemies like a regular kill-everything sort of game, you will find yourself a sitting duck very quickly. To both survive and defeat the enemies efficiently, you can’t just fire randomly – you have to shoot in time with the beat of the music. There’s no fancy button game or anything complex to follow like your typical rhythm game; you merely need to sync your actions with the beat. 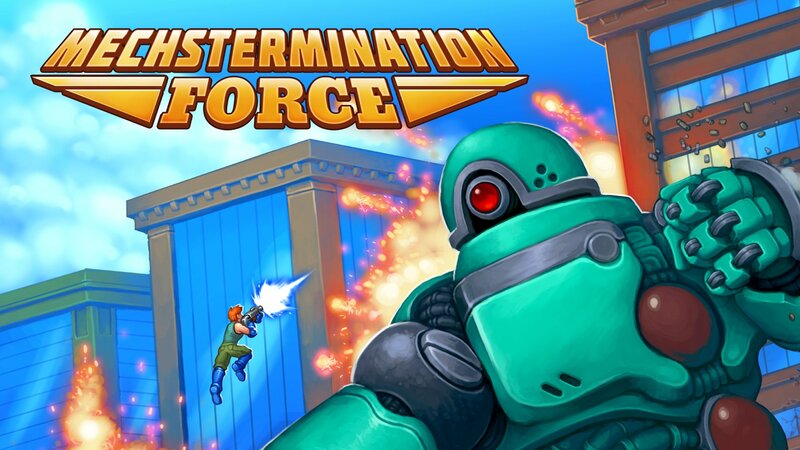 I did find it a real challenge to both aim and shoot in sync AND dodge the enemies and explosions and obstacles. If you shoot too much, you will be stuck waiting for your gun to recharge, losing your rhythm combo and costing you time off the “clock” (the music). If the music runs out, you lose. You can keep track of this with a handy display that shows how close you are to both the end of the level and the end of the music. As you progress, you find mechanics that also require you to sync with the music to proceed, like hitting a switch perfectly on the beat. The whole package is quite intense and exciting, and the soundtrack so far is very enjoyable. When you finish the level, your chosen hero will gain EXP, unlocking new abilities and weapons as you go, adding a slight RPG mechanic to the mix. 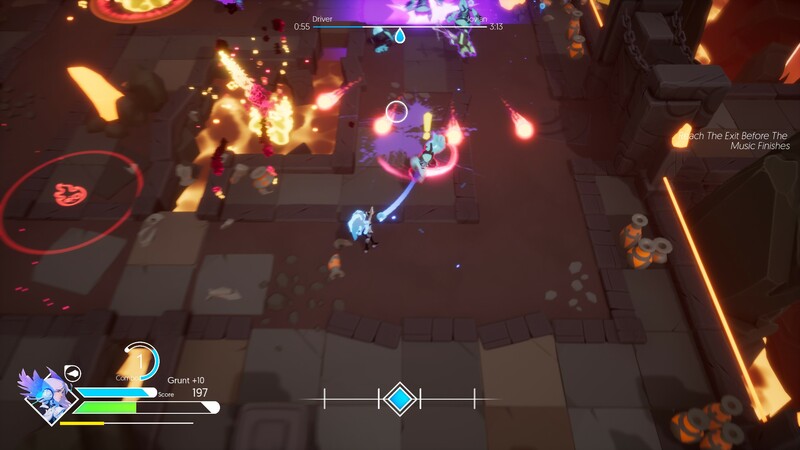 Uniquely, Soundfall can also be played in local co-op with up to four players. I wasn’t able to test this, however a co-op option is a pretty special feature in a game with music and rhythm as a key component, not seen often outside of games like Rock Band. When I noticed this feature, I then noticed how Soundfall‘s combat components bear a striking resemblance to the classic co-op kill-’em-all Gauntlet. Just with a lot more style, flair, and of course, music. 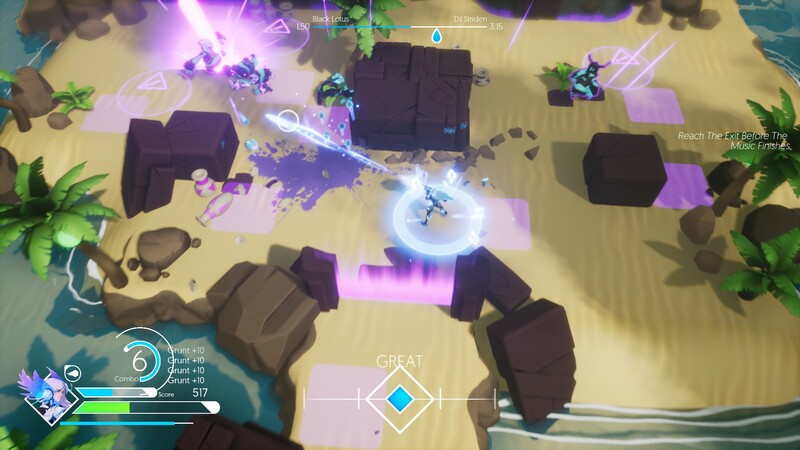 That’s a good thing, as I’ve always enjoyed that type of game, and Soundfall is the first game I’ve seen that takes that formula and tries to take it in a really unique new direction. The preview version I tried was short – only three levels, each lasting between three and four minutes – but what I was shown was very polished and I had a blast the entire time. There were no obvious bugs or issues, the control was fluid, and there were high production values overall, given this is from a brand new studio. If you’re looking for a refreshing take on rhythm, action, and more, I think Soundfall is definitely a title to add to your watch list. I, for one, am interested to see how this title progresses. Soundfall is slated to come out for PC, Xbox One, PS4, and Switch. 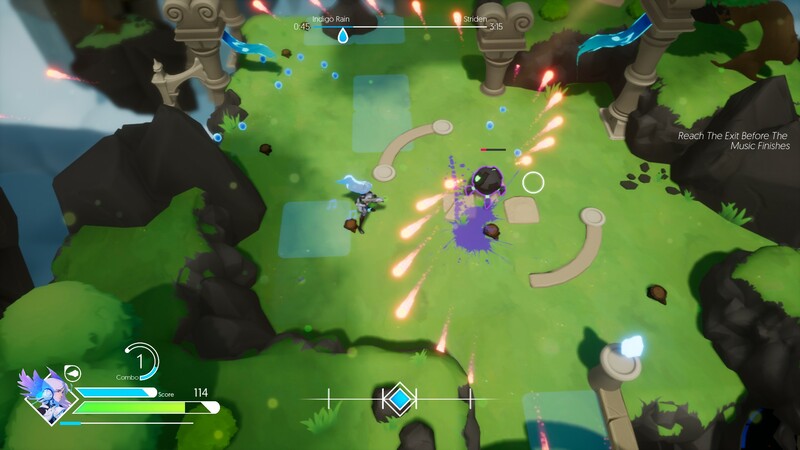 Preview copy provided by Drastic Games for PC. 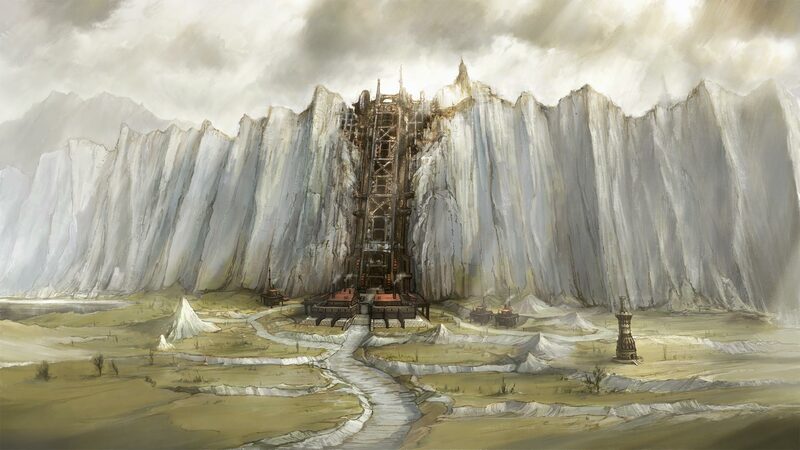 Screenshots taken by author.